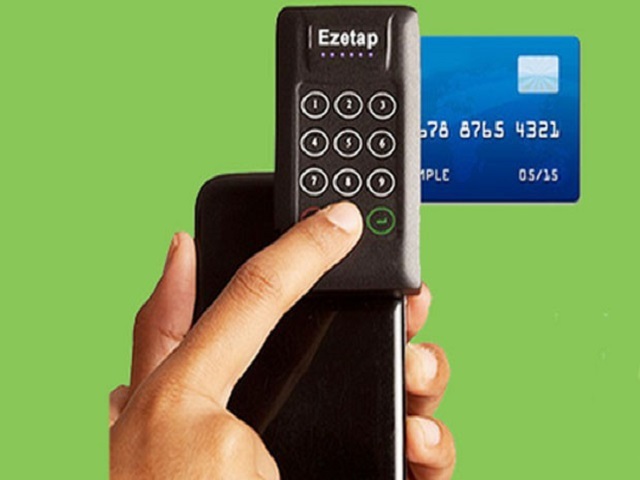 Bangalore based payments solutions company Ezetap has raised $16 million in funding from Jonathan Soros owned US-based venture capital fund JS Capital Management and other investors, taking total funding in the firm to $51 million. Chamath Palihapitiya founded Social Capital also invested in this round becoming the largest shareholder in the company, Ezetap co-founder and CEO Abhijit Bose told. Asian billionaire Li Ka-shing owned Hong Kong-based Horizons Ventures also participated in this funding round, as an existing shareholder in the company. Ezetap, founded in 2011, had raised had raised Rs 150 crore in a Series C round from Social Capital, Helion Advisors, Berggruen Holdings, and Horizons Ventures, in 2015. The company provides pocket-sized mobile tech-backed point-of-sale (POS) solutions to Indian small businesses. Ezetap currently has over 200,000 PoS terminals deployed in the country. Bose said the money is raised to aid the company in future growth, sales and marketing efforts, as well as to expand the gambit of products in order to become a one-stop solution for all payments. “We are currently tackling Rs 800-900 crore of monthly transactions. We would like to increase this volume to Rs 3,000 crore in next one year. There is great traction, especially now, when the government backing has made digital payments attractive,” Bose said. The company plans to dig deeper into every sector and create customized solutions that can interact with the customer as well as business facing operations. “We want to target the top firms in insurance, oil & gas, telecom, e-commerce, and logistics. We will also keenly look at providing infrastructure for large government projects, such as the Smart City project,” Bose added. The Indian digital payments industry is projected to reach $500 billion by 2020, contributing 15 percent to India’s GDP, as per a recent report by Google and Boston Consulting Group. India recorded over 9.2 billion digital transactions in May 2017, as per RBI data. The meteoric growth of digital payments in India has attracted several startups also. They are collaborating with traditional financial institutions such as banks and NBFCs, aiming to capture increased business opportunity that growing number of Smartphone users has created. The fintech space is heating up in India post demonetization. It is today what e-commerce were till a year ago – favourites of investors. Online lending platform Capital Float raised $45 million earlier this week, while another loans startup LendingKart raised $10 million in debt funding. MobiKwik also secured funding worth Rs 225 crore, and Ezetap’s direct competitor Mswipe had raised $31 million in Series D funding in June, this year. The largest of all – Noida based Paytm had raised a massive $1.4 billion from Softbank in May, this year. The government is also trying to push its own brand of digital payment solutions through UPI and ‘Aadhaar Pay’ platform in which Indian residents will be able to make financial transactions with just a fingerprint authentication negating the use of plastic cards, which could disrupt the overall payments market. India has enrolled over 1.16 billion people so far under its Aadhaar program.